An attractive community of Danish origins, Standard is located in the heart of the County of Wheatland surrounded by fertiles farmlands and numerous oil and gas rigs. The Chimney Hills can be seen rising in the background. We are a progressive farming community and have active oil and gas companies. 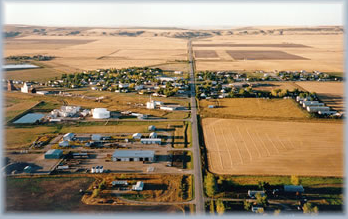 With Calgary and Drumheller located only 50 miles away, residents can enjoy a quiet country life, but still be able to access city benefits. Our friendly community of 389 invites you to consider a move to our growing village and to explore the professional and commercial business opportunities. 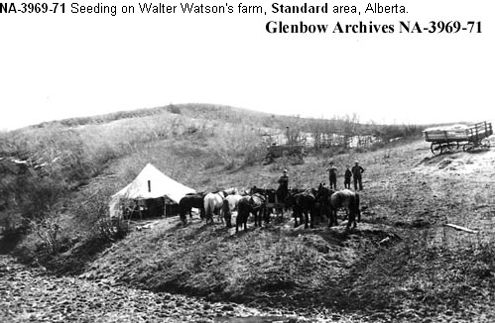 In 1909, a delegation of Danish men came from Iowa to the Chimney Hills district to look for farmland on the 21, 000 acres the CPR had set aside for this purpose. In 1910 the first families moved into what was then called the "Dana" area, and the 1910 CPR map shows the village's name as "Danaview". 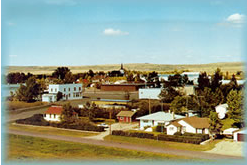 When CPR officials discovered they had a town bearing that name northeast of Saskatoon, they would not permit two towns with the same name on their line. Hence the name Standard from the Royal Danish Standard. 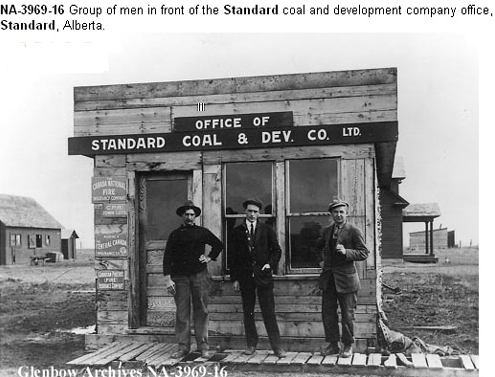 With the arrival of trains in 1911, Standard became a thriving service centre for the agricultural industry surrounding it and today provides services for crews of the numerous oil and gas facilities dotting the landscape.